Advertising a SaaS company, as easy as it might sound to some marketers, is a hugely cumbersome process. To make advertising work for your business you need to take care of so many things; Best practices in your industry, branding, media buying, action plans, campaign monitoring, ROI calculation and what not. With so much volatility floating around, it becomes inevitable for a SaaS business to make mistakes while planning or executing an advertising campaign. If you are running a SaaS business, you need to avoid certain basic advertising mistakes that are typical to tech companies. What are those mistakes, and how do you avoid them? 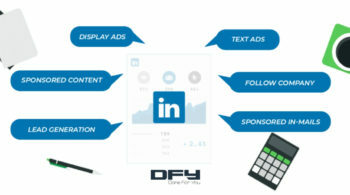 Multiple marketing channels plus same ad-campaign equals failure! That’s the story of almost every marketer’s life. When it comes to advertising a SaaS business across different channels, the ‘one size fits all’ approach won’t work. That is because –and that’s a basic marketing principle– the advertising message needs to be adapted to serve different mediums. If your marketing strategy worked on one platform it does not mean it will have the same impact on other mediums as well. It makes sense for a SaaS business to look at the returns it gets from the money it spends on advertising. Now, there are two ways to look at it – returns in the short run and returns in the longer run. 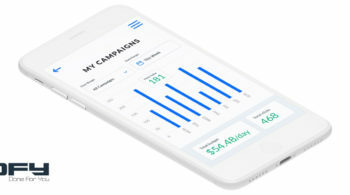 Some SaaS businesses fall into the trap of looking at the immediate returns, therefore, they don’t focus on creating campaigns that will either expand brand awareness or take the sales cycle into account. What this means is that not every advertising campaign needs to have immediate conversions as a goal. Sometimes you want to have more people notice your brand, and create interest and curiosity. Other times, you do want prospects to convert, but you have to acknowledge the fact that people don’t always purchase a SaaS plan immediately; it might take them weeks or months to decide. In order to get the maximum returns from each marketing campaign, you need to clarify your goals and expected results. If you are a SaaS startup, then you might want to create a strategic plan to spread the word about your brand. After building awareness about your business and getting the first sign-ups and paying customers, then you can use the power of familiarity bias to convert more customers through your SaaS campaigns. In psychology, familiarity bias (heuristics) refers to the phenomenon where people opt for the more familiar options, even though these often result in less favorable outcomes than available alternatives. Paid marketing has become the go-to option for growth marketers. With so many SaaS startups seeing the light of day, each founder wants a slice of the user base pie as quickly as possible to validate the product/market fit. If you were thinking about mastering only the organic part and leaving paid advertising for later, then it is time to change your SaaS marketing strategy. In an online world marred by hackers and spammers, social proof could be the savior for your business. Close to one-third of people online look for user reviews before making a purchase. This clearly puts the value of user-generated content into the limelight. Therefore, the advertising strategy for your SaaS company shouldn’t be limited to the content YOU create; you should have a plan for leveraging user-generated content as well. Trust plays a massive role in getting consumers to buy a SaaS product, or any product whatsoever. To gain trust you need to be able to generate as many genuine reviews as possible for your brand. 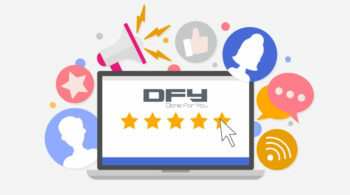 Ask satisfied customers for a review, and share that review on your website at a prominent place. Maybe some customers are willing to shoot a quick video review? That would be even better, because you could post that review on your YouTube channel and on Facebook. The probability of a reselling to an existing customer is 60-70% higher than roping in a new customer. As a matter of fact, studies reveal that 80% of your future profit will be generated from 20% of your existing customers. Still, a lot of SaaS businesses tend to make the mistake of neglecting customers while they’re trying too hard to acquire new ones. To reduce churn rate, you need to keep users involved. Rather than just building all your marketing campaigns around new customers, planning your advertising efforts in a way that they attend to existing customers as well must be on your radar. Announcements, case studies, new features, benefits of your SaaS tool are some examples of content you can build to entice existing users to stick around. SaaS users want to see that you are actively improving your product, and that your customer support team is responding fast to inquiries. 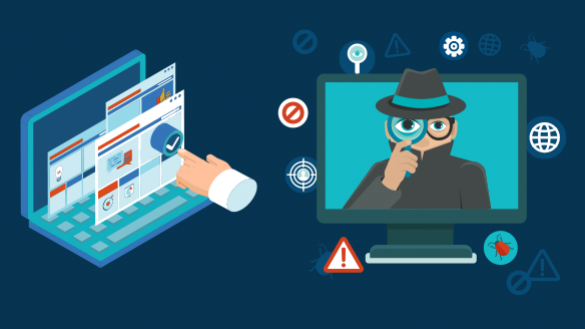 Click fraud and ad fraud have become a massive problem, and many businesses are still unaware of how this problem can affect their advertising campaigns. What click fraud means is that the traffic you’re getting from your campaign might not be real. This can ruin your marketing campaign and drain your budget completely. Read this article we wrote about sources of targeted traffic; it will help you get answers as to what you need to know when buying traffic. To ensure success of your SaaS advertising efforts, you need to be cautious and smart about click fraud. There are plenty of tools out there that can help you stay protected against click fraud; and the best way to stay safe is to advertise through safe media like Facebook and Google. As they say: prevention is better than cure. Invest in reliable traffic sources from the get-go to achieve the best ROI from your marketing. 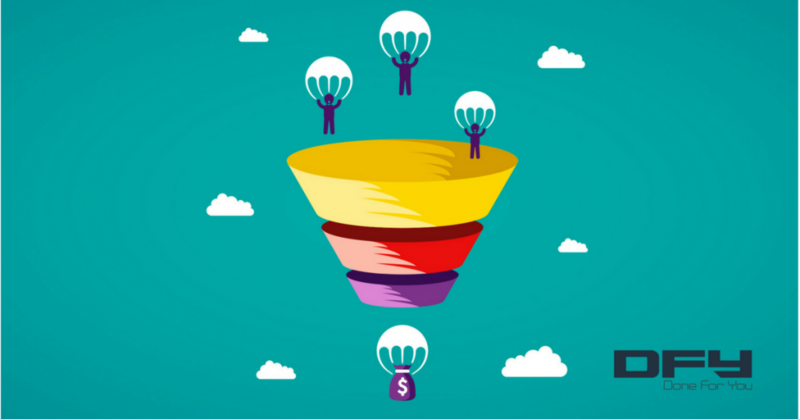 Not having a sales funnel is one of the top mistakes that SaaS businesses tend to make. Marketing is all about strategizing for the long-term and acting step by step to achieve your goals. This is where the concept of sales funnels comes into the picture. 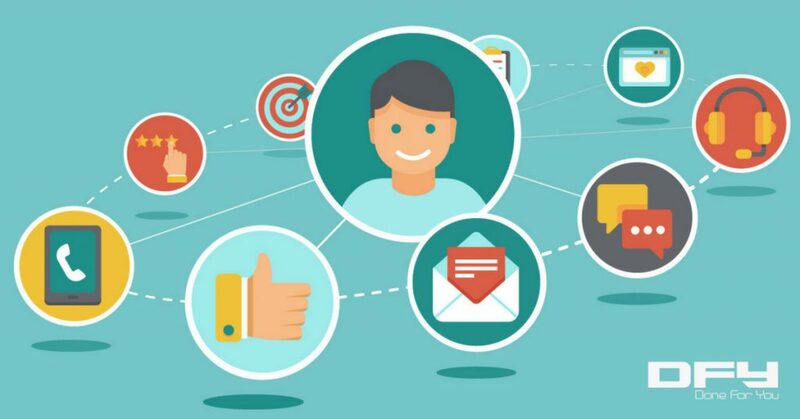 By using a sequential approach to creating an orchestrated inflow of customers, who are then nurtured throughout their buyer’s journey, you can eventually succeed in your marketing goals. 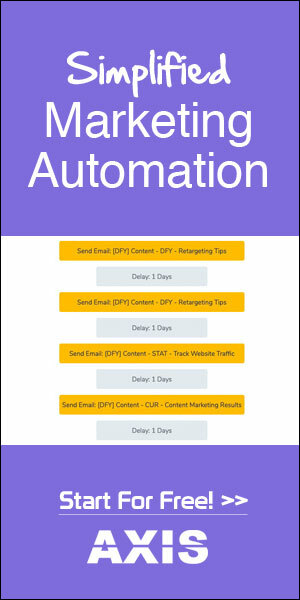 Harmonizing your CTAs, connecting them to your content and then finally leveraging them to entice the buyer into your sales funnel can help your business grow at a much faster speed. So, leverage the power of a sales funnel in order to make your marketing strategies work. We have listed the top mistakes that marketers and businesses are making when promoting their SaaS services. Advertising to grow your user base is all about amalgamating different tactics and sewing them together in one thread to drive sign-ups. It is okay to make mistakes, but you need to learn from them and never repeat them. When advertising your SaaS company you also need to learn from the mistakes that others are making. 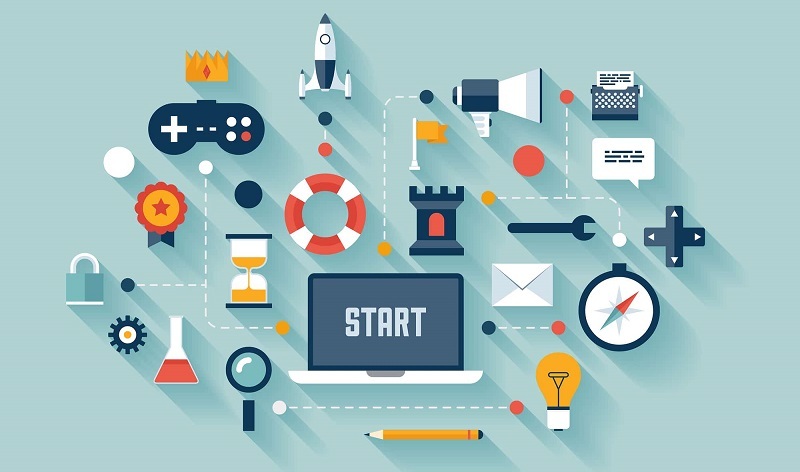 Need help with creating an effective inbound strategy for your SaaS business? 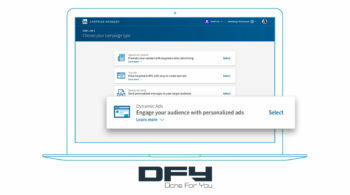 Here at DoneForYou.com, we have helped dozens of cloud-based companies, software startups and SaaS platforms to market to their target audience, acquire more leads and grow their business. How do we do that? 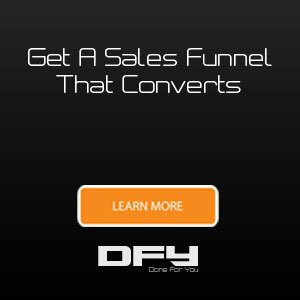 By devising and building customized sales funnels that work! Download our Funnel Factor report to learn more, or schedule a free strategy session call to discuss your needs with one of our marketing and sales experts.